The theoretical model I’ve found most useful for designing “discussion” activities is Isaacs’ field-based model of dialogue for “the art of thinking together” (Isaacs, 1999). I note the distinction between dialogue and discussion. The word “dialogue” was sorely misused in the ‘60’s, and is often misunderstood as meaning a conversation between two people. In fact, its Greek roots are dia (meaning “across”) and legein (to “speak”), while the Latin roots of the word “discussion” are dis (meaning, “apart”) and quatere (to break) (Partridge, 1958). Discussion provides the benefit of taking things apart for better understanding, and helps us decide, to “murder the alternative” (Isaacs, 1999, p. 45). In the context of social change, I argue that the ability to speak across models is higher order, more creative work than is the ability to break others’ positions while defending one’s own. As an instructor, I work toward creating learning experiences that help students understand the distinction between the two types of conversation and their outcomes, and experience a progression from defending hardened positions (in service to an addiction to certainty) to suspending certainty as they practice waiting for resolution, remaining in a state of curiosity, discovery and reflection. This understanding can emerge naturally through the choices an instructor makes about facilitating dialogue, as described in this essay. Isaacs’ work is grounded in the conceptual framework of organizational development; however, while this is traditionally a business-oriented discipline, researchers like Isaacs are interdisciplinary in their approach, and focus on institutional transformation through changed social practice, with some application to social reform movements (civil rights movement, school reform). He argues that work toward institutional transformation depends on attending to the conditions that affect the quality of the dialogic fields that are developed. The discussion facilitator has the same goal. The metaphor Isaacs uses is that of creating a “container for dialogue in which deep and transformative listening become possible . . . a setting in which the intensities of human activity can safely emerge” (p. 242). The conditions include the “active experience of people listening, respecting one another, suspending their judgments, and speaking their own voices” (p. 242). If the goal of dialogue is to think together (which differs in important ways from feeling good together), the process is to establish the container and then expand the container while continuing to sustain it. A sense of safety is necessary, but not sufficient; people should feel “stretched” after a good dialogue, not comfortable. We have been trained to drive toward resolution and stability (and have a natural inclination to crave both). The successful facilitator helps students practice waiting for resolution, remaining in a state of curiosity, discovery and reflection. The aim is to expand the activity in the container beyond debate, agreement or advocacy, into generative dialogue. This requires a container that is “capable of holding our experience in ever more rich and complex ways” (Isaacs, 1999, p. 256) and involves the creation of “an atmosphere that is large enough to accommodate radically different points of view without requiring any of them to change. . . . In it, many new possibilities and options can be seen that were hidden before” (p. 280). A good facilitator has “the capacity to hold the container for gradually larger sets of ideas, pressures and people as the different crisis points unfold” (p. 255). What is generated with this quality of dialogue is new knowledge. A good facilitator also helps students advance in sophistication in four practices: listening, respecting, suspending, and voicing. These practices are principle-based: “Beneath the practice of listening is the principle of participation, behind respecting is the principle of coherence, behind suspending, the principle of awareness, and behind voicing, the principle of unfoldment” (p. 81). Listening begins with recognizing one’s own “net” of thought, which involves our memories, feelings, assumptions and biases. We can be clever, confident, and articulate, but this kind of listening is “not always very expansive” (Isaacs, 1999, p. 93). Another step in learning how to listen is to distinguish inferences from facts and challenge our own untested conclusions. A challenge for students is in how they react to disturbance, that point of discomfort where one’s conclusions differ from another. To learn how to listen is to “look for evidence that disconfirms your own point of view” (p. 99), and value what challenges it. Another way of understanding this is to think about the ability to “listen while noticing resistance” (p. 101). Finally, the quality of listening in dialogue is a quality of stillness, the ability to slow down and pay attention. To learn how to authentically participate, we need learn how to “listen together.” The questions for students to ask in order to develop the practice of listening are: “How does this feel? How is this affecting people? What are the different voices trying to convey? What voices are marginalized here?” (Isaacs, 1999, p. 103). In order to “catalyze” this type of listening, the facilitator models asking for the inferences under conclusions, solicits the facts, calls out the disturbances, listens for the dilemmas, and intervenes to slow down discussions. The practice of respecting challenges our usual stances on interactions with others, especially in politicized or polarized environments. It requires starting from a different position: tolerating the differences and being willing to engage with them, looking for what is held in common, and also being open to what is different. This means leaving behind the drive to be right, and opening to the assumption that there is a legitimate aspect to the perspectives of everyone, because we see them as legitimate beings. The act of respect says, “I see you.” The dominant feeling is empathy. The underlying principle to the practice of respect necessary to the successful dialogue is coherence. Coherence builds from the premise that the world is whole, rather than the parts or fragments. 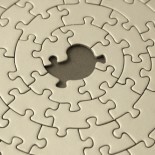 Connectedness (connecting the parts) does not create the whole. The best metaphor is in how we experience art. We do not engage with music as a collection of notes or the beauty of a pointillist painting as a collection of dots. The questions that learners can ask themselves to cultivate respect are: What is at risk for me in this situation? What is the dominant preoccupation of the group (the common, central themes of this conversation)? How is each perspective in me: In other words, be willing to “meet the difficulty outside of oneself in oneself” (Isaacs, 1999, p. 125)? How can I avoid trying to assimilate others into a pre-existing category? To promote respect, the facilitator helps students learn how to “respect the polarizations that arise without making any effort to ‘fix’ them” (Isaacs, 1999, p. 128): In other words, to hold tension. This requires that the facilitator intervene when “people begin to ‘vote’ on which person or perspective they feel is ‘right’” (p. 130). The facilitator helps the students learn how to accept and value the difference of opinion. The most important skill the instructor models is to challenge themselves to become aware of and expose (with reflection) those parts of themselves that do not respect others. The enemy of dialogue is certainty. To be certain is to stake out a position, and beginning to self-identify with that position. A symptom of this is when people begin to describe themselves with labels (“Republican” ( and use the labels instead of “surprising themselves by what they say” (Isaacs, 1999, p. 136). Suspension requires the listener to step back and open up. An example is to recognize that we are beginning to formulate a criticism, and turn our attention instead to containing the energy of criticism and reflecting instead of suppressing, disavowing or even expressing the criticism. To suspend is to inquire into one’s criticism. In Buddhist terms, this requires watching the watcher: “Externalize their thoughts and the ‘voices’ in their minds so that they may see themselves more clearly” (Isaacs, p. 142). Underlying suspension is the principle of awareness. To be aware is to pay attention, to expand that attention to more and more of our immediate experience. It means “understanding that we have our entire social history, which is also in us and which also deeply influences our perception. The world participates in us, and we in the world” (Isaacs, p. 145). Additional questions that help students practice suspension are: “What leads me to view things as I do? What is the question beneath the question? What themes, patterns, links, do I perceive underneath what is being said? In what alternative ways can I perceive or frame these things” (Isaacs, p. 155). To facilitate suspension, the instructor might rotate the responsibility of being the “questioner” among each of the students (or teams of students). The questioner’s only responsibility is to ask good, compelling questions. For the time that they are playing that role, they are not allowed to answer any questions. Another role to rotate among the students or teams of students is the role of “watcher”. This role requires observing the group as a whole, its collective behavior, and exploring how what is occurring impacts the various participants: “the least powerful person in the group? the silent ones? the strong ones” (Isaacs, p. 157). To help students challenge their own certainty, the instructor might assign the role of “devil’s advocate.” The devil’s advocate is challenged to represent an issue from a perspective with which they do not agree. Finally, role playing is a learning activity that helps students play out the question, “what would that look like”? We usually understand finding and speaking in our own voice as being able to articulate a thought or feeling clearly, in our own words. This is a limiting view, and often is based on sustaining separation: “this is how I’m unique in the world.” Voicing in dialogue occurs “when we speak words that come from a place of wholeness and actually articulate that wholeness” (Isaacs, p. 165). The wholeness comes out of a state of flow. As Isaacs describes: “In dialogues that seem to flow powerfully, people begin to realize that they are speaking to the common pool of meaning being created by all the people together, and not to each other as individuals. They are seeking to gather a new quality of meaning and understanding together. In a dialogue, people are not just interacting, but creating together” (p. 174). Bohm was an early advocate for dialogue as a solution to social divisions leading to conflict. He sought to use dialogue to as a way to “explore the roots of the many crises that face humanity. . . by enabling inquiry into and understanding of, the sorts of processes that fragment and interfere with real communication between individuals, nations, and even different parts of the same organization” (Bohm, Factor & Garrett, 1991, n.p.). Isaacs’ model is also a process model, which suggests a progression of stages of dialogue through four fields. Field I is characterized by politeness, constituted by (shared) monologues. Field II is characterized by the beginning of battles over “whose meaning will have more power” (p. 265). Reflective dialogue begins to emerge in Field III, with the spirit of curiosity dominating. In Field IV, generative dialogue begins to occur, and this is the most creative of states for the container; it is unlikely that this state can be sustained. I argue that, in the context of a formal educational program, the most sustainable balance is between Field II (because we do want to teach students how to make and support assertions and claims), and Field III (because we want students to learn how to reflect, to have the “ability to speak across models” (p. 276)). The moments in Field IV are the rare, sweet ones that drive us as teachers. The progression through the fields is a progression from defending to suspending, with key decision points that determine the nature of the outcome of the conversation. In the beginning, the discussion facilitator should set up the conditions that lead to certain end points to give the students the experience of each. The learning will occur when the facilitator helps students recognize the progression so that they see the flow in the moment, make their own deliberate decision about how they will proceed, and reflect on the result. Isaacs, W. (1999). Dialogue and the art of thinking together. New York, NY: Doubleday. Partridge, E. (1958). Origins: A short Etymological Dictionary of Modern English. New York, NY: MacMillan Company.